Last week we celebrated the first CiviCon for the South of Europe in Madrid. It was a great day that provided the opportunity to bring together users, developers and implementers from the local growing community in Spain. We had close to 40 people interested on CiviCRM. During the morning we had sessions from end users such as Amnesty International, Universidad Autonoma de Madrid or the Spanish Fundraising Association; other more technical ones from implementors like iXiam about CiviSEPA, Francesc with a talk about the use of CiviCRM on social action entities, and Michael McAndrew presenting CiviCRM community. 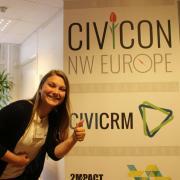 CiviCon NorthWest Europe in Amsterdam was a great day! 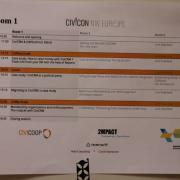 Yesterday was the first CiviCon NorthWest Europe in Amsterdam. I thoroughly enjoyed the day, it was inspiring to see the local community being able to organize and support such an event! We had a little over 50 participants from The Netherlands, Belgium, Germany and France. The first videos from CiviCon Denver are now available as a playlist on our youtube channel. The rest will be uploaded as they are processed and published. Enjoy! Great to read all the feedback from CiviCon Denver and the sprint in the blogs and on social media. It confirms that CiviCon is THE conference where users, developers, supporters and fans of CiviCRM meet each other, share knowledge and swap stories. It is the best spot to get inspired and gain insights into the possibilities of CiviCRM! As you might know we have two CiviCon's on 28 May 2015: South Europe in Madrid (check http://madrid2015.civicrm.org/) and North West Europe in Amsterdam (check https://amsterdam2015.civicrm.org/). We have just completed the fourth day of the sprint. Progress reports are in from all of the teams and much progress has been made. Reports from the teams tell us that we have been quite busy. I am quite excited about the progress the Monitoring team has made and cannot wait to get my hands on this to play with. Documentation has made great strides, improvements to the payment processor architecture is in the works as well. I have had the opportunity to speak with the translation team and the work they are doing is invalubale to the project. I also have to mention that the extension review team has done a tremendous job working down the extension queue and we should all look forward to using some new extensions. As part of the install team, I know we have been busy at work getting a more uniform install process across Drupal, Joomla and WordPress. In honour of CiviCon 2015, iATS Payments excited to announce a new referral program to help spread the word about using the iATS Payments extension for CiviCRM! The concept is quite simple. Refer an organization to iATS Payments and when their account is approved both your organization and theirs will get $100 to spend as you wish! This could go towards your cause, a special project, cupcakes for the office - or whatever you like! Follow this link to learn more and to submit the required details to us. The iATS Payments account coordinators are standing by to help! iATS Payments is proud to support the CiviCRM community. If you have any questions, don't hesitate to reach out to iatsmarketing@iatspayments.com. We are really excited about having two CiviCon happening on May 28th in Europe, one on the Northwest in Amsterdam and other on the South in Madrid. It is a great opportunity to attend a regional conference where you will meet and learn from the people that make CiviCRM happen. Attending any CiviCon is an excellent way to learn more about -and contribute to- CiviCRM, and to meet the community, both for new CiviCRM developers or for those working and want to refresher on best practice and the latest tool sets. 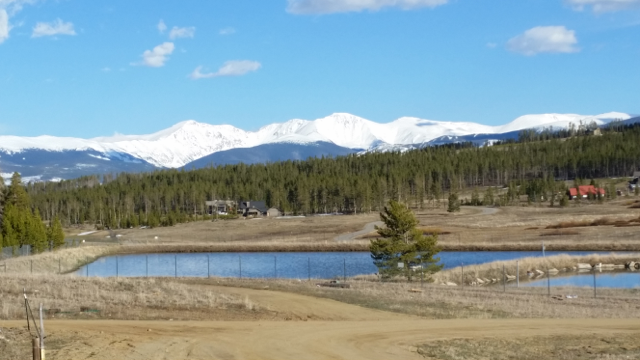 Still looking for a compelling reason to attend CiviCon Denver? Why not listen to past attendees and presenters to learn about what they took away from attending other meet-ups? Estamos muy contentos de tener dos CiviCon el próximo 28 de Mayo en Europa, una en el Norte en Amsterdam y otra en el Sur en Madrid. Es una gran oportunidad para asistir a una conferencia regional donde conocer y aprender de la gente que hace posible CiviCRM. Asistir a cualquier CiviCon es una excelente forma de aprender más sobre – y contribuir a- CiviCRM, y conocer a la comunidad, tanto para nuevos desarrolladores de CiviCRM como para aquellos que ya trabajan con la plataforma y quiere conocer sobre las últimas actualizaciones, mejores prácticas y últimas herramientas disponibles.